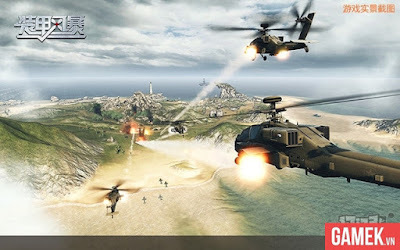 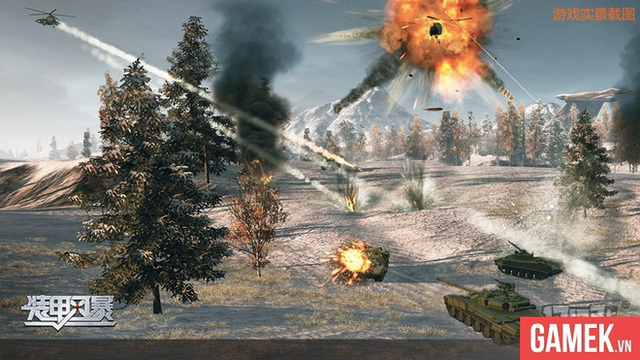 Image effects such as drop shadows, light, fire, smoke bombs, exploding bullets fall of Iron Storm was very well done. Each of the map are built very carefully, changes in the environment will directly influence the tactics as well as manipulate the controls, so the players need to understand the topography of each position. In addition, the game has applied physical effects and the sound effects are very good, to reproduce exactly the feel where the battlefield, such as force feedback when firing.